I’m a lover of soft, cake-like cookies rather than the thin, crisp kind. 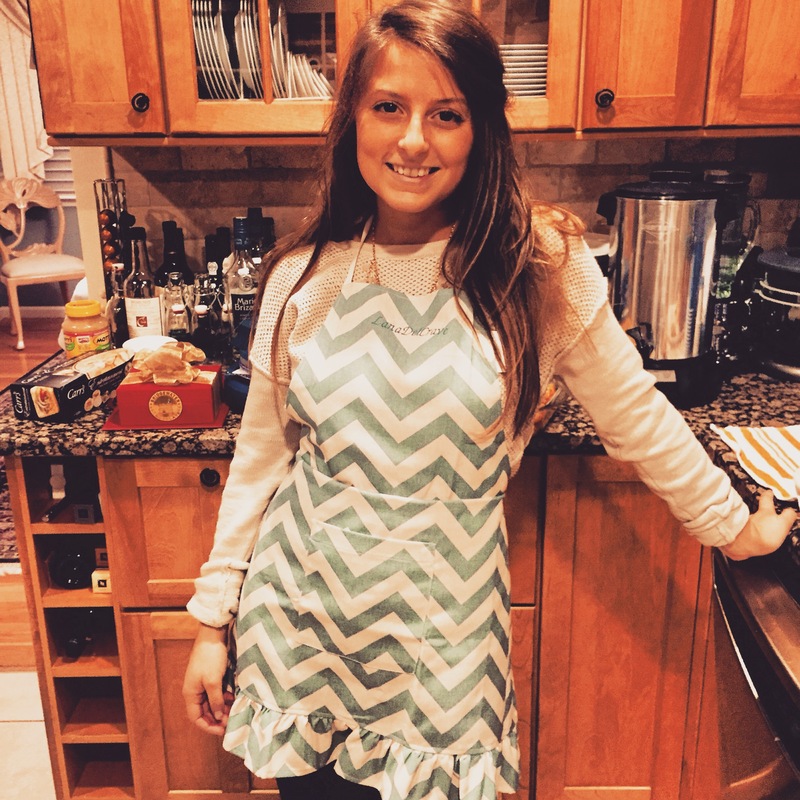 That being said, I was on a mission to find the perfect chocolate chip cookie recipe to make/eat while watching these games – or for other non-college basketball days. The recipe I found used cream cheese as a substitute for a portion of butter, which turned out to be a genius idea. This substitution adds decadence to the cookies without an overpowering cream cheese flavor. Because I’m a lover of salty & sweet, I added a bit of sea salt to my version. 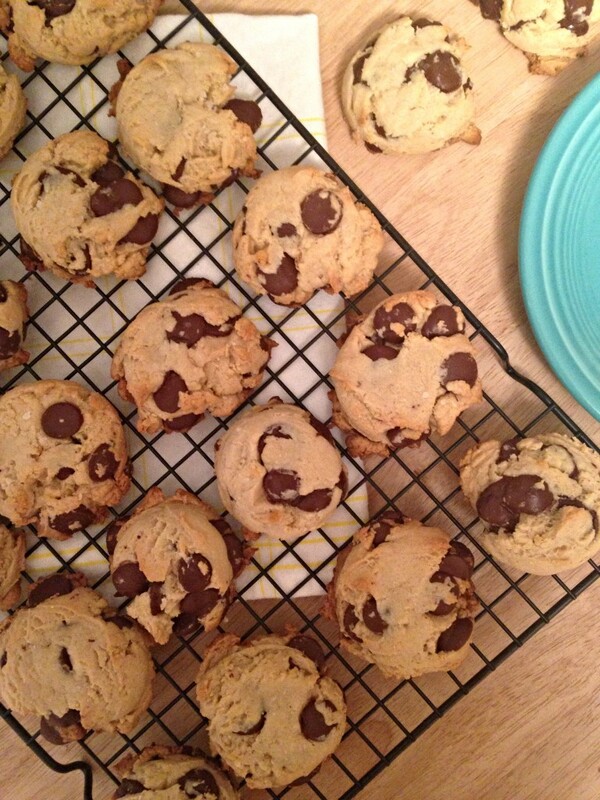 For those like me, who enjoy soft-baked cookies, I’d be shocked if these aren’t your favorite chocolate chip variation! Let the ingredients come to room temperature. For most cookies, I recommend both the butter and eggs be at room temperature before the baking begins. For this recipe, allow the cream cheese to do the same. Aside from mixing much faster & easier, each ingredient will be perfectly distributed throughout the dough. Keep the dough cold. 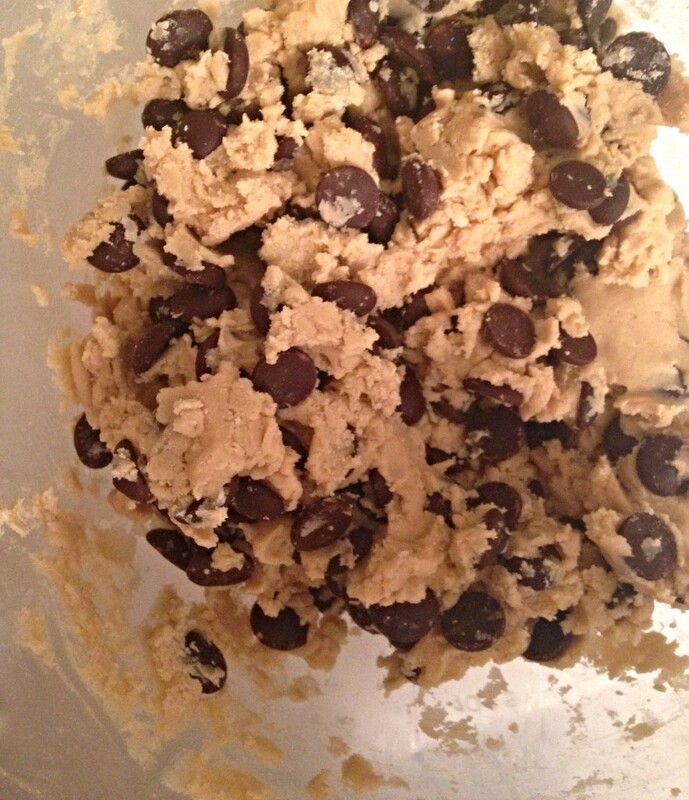 It’s best to completely cool this cookie dough before baking. This will allow the cookies to keep their plump shape and ‘cakey’ texture. If you try baking these cookies right after the dough comes together, they’ll spread into a giant chocolate chip puddle. (A delicious puddle, but a puddle nonetheless.) For best results, refrigerate the dough for at least 1 hour before baking. Make ahead recipe. Because of the previous tip, these cookies can be made in advance. After making the dough, store in an air-tight container for up to 5 days before baking. Try not to eat all the dough before actually baking the cookies. Go nuts. Toasted walnuts or almonds could be delicious in this recipe! Just dry toast your nut of choice in a small pan until fragrant, roughly chop, then add to the dough with the chocolate chips. Use an automatic cookie-scoop. I never make a cookie (or a cupcake, or a muffin… you get the point) without one of these babies. Get one! In a medium bowl or stand mixer with the paddle attachment, combine the butter & cream cheese until smooth. With the mixer on medium-low, add the sugars, egg & vanilla until completely combined - about 5 minutes. In a separate medium bowl, combine the flour, cornstarch, baking soda and salt. With the mixer on low, slowly add the dry ingredients to the wet until just combined. 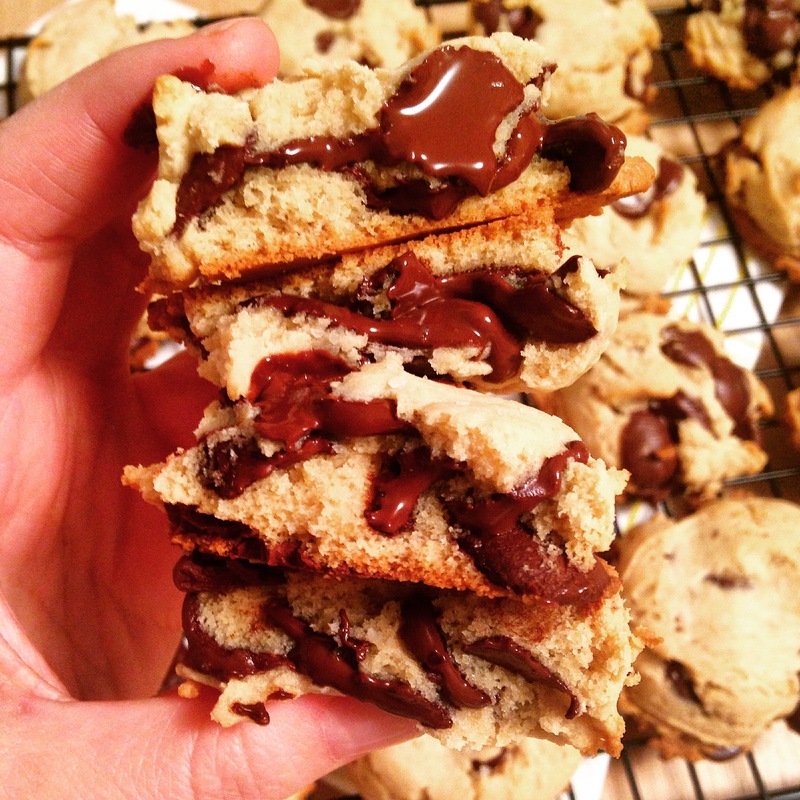 Using a strong rubber spatula, fold the chocolate chips into the dough mixture. Place the dough in the refrigerator for at least 1 hour. While the dough is chilling, preheat the oven to 350 degrees. 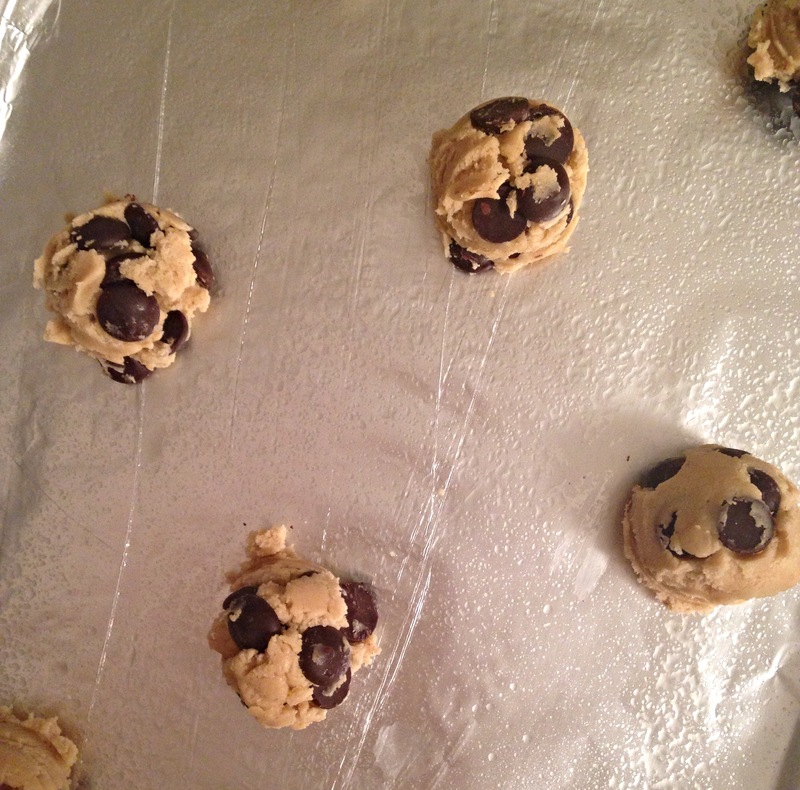 Line 2 baking sheets with parchment paper or greased tin foil. Pull the dough from the fridge. 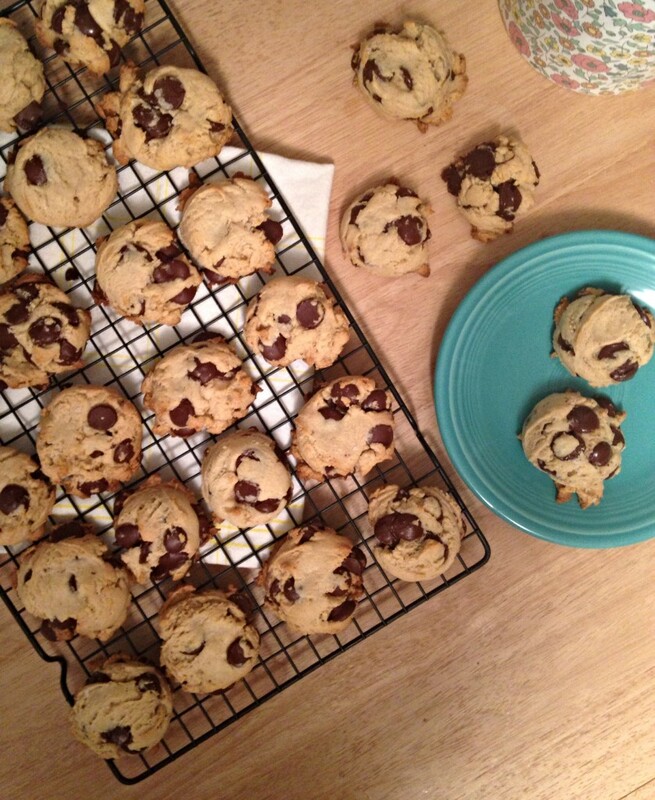 Using an automatic cookie scoop, scoop the cookies at least 1 inch apart, just to be safe! Sprinkle a bit of sea salt atop each cookie. Bake 8-10 minutes until the bottoms of the cookies appear golden and the tops have set - if the cookies feel too 'doughy' when you touch the tops with your finger, they may need another minute or two. Let cool completely before eating.